As women, we use a variety of products as a part of our daily routine. As a parent, skin protection is a significant concern for children and loved ones. In a growing age of information sharing and motivated consumers it is becoming apparent that the demand for cleaner products is on the rise. Knowing which sunscreen to buy for your family can be overwhelming. Did you know that there are chemical and physical types of sunscreens? Or, that SPF 30 is not actually twice as effective as 15. Instead, SPF 15 blocks 93 percent of the sun's rays, while SPF 30 blocks 97 percent of the sun's rays, according to the American Academy of Dermatology. One mother of two shares, "Until a friend tipped me off, I had no idea the chemicals in sunscreen could be so detrimental to our health and was sad to realize my favorite lotions were not good for us. She told me about how nano-particles in sunscreen enter our bloodstream and become unstable and endocrine disruptors." Digging deeper, if you examine the many skin care products you pick up on drugstore shelves, you can find the chemical retinol, known for its ability to fight fine lines and wrinkles, but not as well known as an endocrine disruptor, and possible cause of skin tumors. Pick up a bottle of shampoo or body wash and you're likely to find formaldehyde - a common preservative agent, linked to cancer. As consumers we are put in a place of having to read labels and decide for ourselves. The United States has not passed a major federal law governing the safety of cosmetics ingredients since 1938 and many in the personal care industry think the hundreds of bottles in the drugstore aisle need an update. The EU has banned or restricted over 1,400 ingredients, while the US has only taken action on 11. Companies like L.A. based Beautycounter are on the move to change the education and regulation of ingredients in products sold in the United States. 'This is not a cosmetics or personal care industry issue; this is a women's health issue.' Gregg Renfrew, founder and CEO of Beautycounter. When you add it all up, we are exposed to countless chemicals in a day. Some we have control of (the products we put in and the food we eat) and some we do not (the air we breathe, water we bathe in). Another mother adds, "I decided to lessen my family's toxic load by researching and buying safe products. 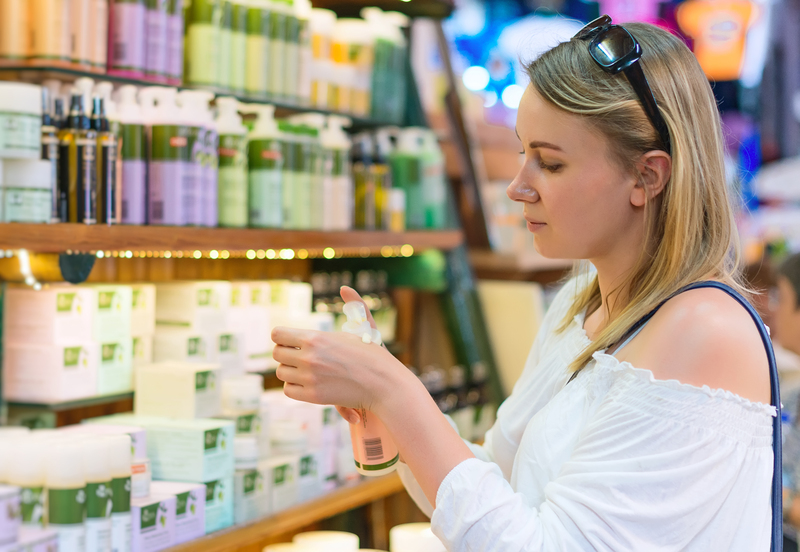 I don't think consumers should have to research and determine the safety of the products on the shelves and have to choose between beauty and safety, but for now, that is our reality." The movement is in motion. Last week, the FDA issued a rule banning the use of triclosan, triclocarban and 17 other chemicals in hand and body washes which are marketed as being more effective than simple soap. Enhanced business models and safer products are the answer to continue to drive #BetterBeauty into action. What choices will you make today that will leave a better impact for you and your family tomorrow?